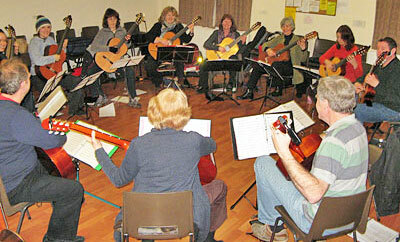 hago rehearses at Lovedean Village Hall, off the A3 London Road a mile north of Cowplain and close to the A3M motorway. We start at 7:25 and finish at 10pm. Lovedean is near Havant, an easy journey by car from Southampton, Portsmouth, Chichester, Petersfield and Emsworth - indeed there's easy access from anywhere in South East Hampshire and West Sussex. Which is good, because we have players from virtually everywhere in SE Hants and West Sussex, and beyond. There is a street map here. From the North, take the A3M southbound and at junction 2, take the sliproad and then turn right at the roundabout above the motorway. There is a supermarket on your right - go straight across its access roundabout. At the big set of traffic lights turn left - signed Waterlooville. Now follow "Locally - From the North"
From all other directions, take the A27/M27 and then the A3M northbound. At junction 2, take the sliproad and turn left at the top. There is a supermarket on your right - go straight across its access roundabout. At the big set of traffic lights turn left - signed Waterlooville. Now follow "Locally - From the North"
From the North - take the old A3 through Horndean and head south (signed Waterlooville and Portsmouth), to the top of the map here. At Lovedean Lane (signed "Lovedean", and with a turn-right refuge and island in the middle of the road) turn right and continue as below. From all other directions - head for Waterlooville turn north up the old A3. Continue through Cowplain and turn left at the sign to Lovedean (Lovedean Lane). Follow Lovedean Lane down a slight slope. The road bears right past a large Tesco Express. Continue on for 800m - the Hall is on the right after Yoells Lane. Enter the car-park by the second (furthermost) entrance, and leave by other gate. There's a red dog-bin on the right hand side of the road between the two gates - it's the best landmark! There is parking at the front & side of the Hall and a ramp to the Hall. There is a wheelchair accessible toilet in the Main Hall, which is usually unlocked and in use by another group when we rehearse. We first moved here in the Autumn of 2005 while St John's Church Hall - our rehearsal venue since our founding meeting - was redecorated. 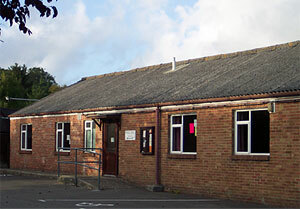 We returned to Lovedean in the Summer of 2006, when more disruption and a price hike back at Purbrook made Lovedean Village Hall, with its adjacent car park and double glazing, a much more cost-effective and homely venue. Neither hago nor the Village Hall committee can accept responsibility for your car or personal belongings.